The recipe takes about 2 hours to complete and I'd rate it a difficulty level 3 out of 5. 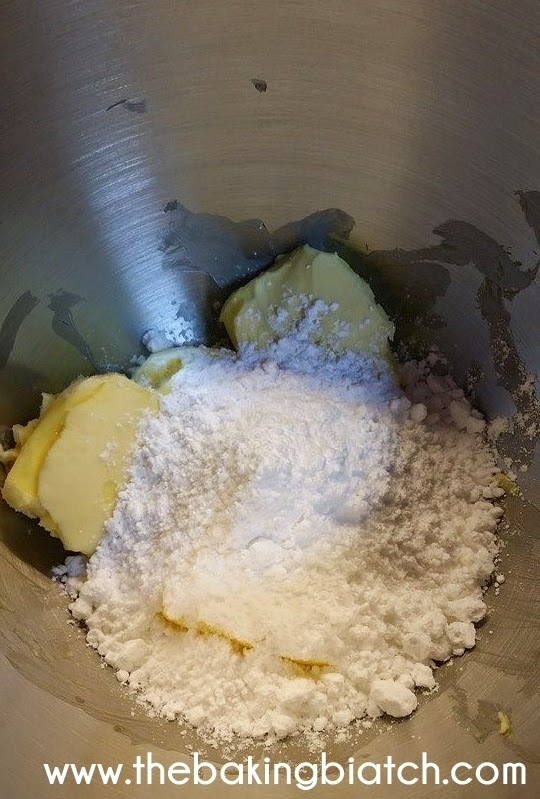 In the mixer, add icing sugar to the butter. Sifting is optional. 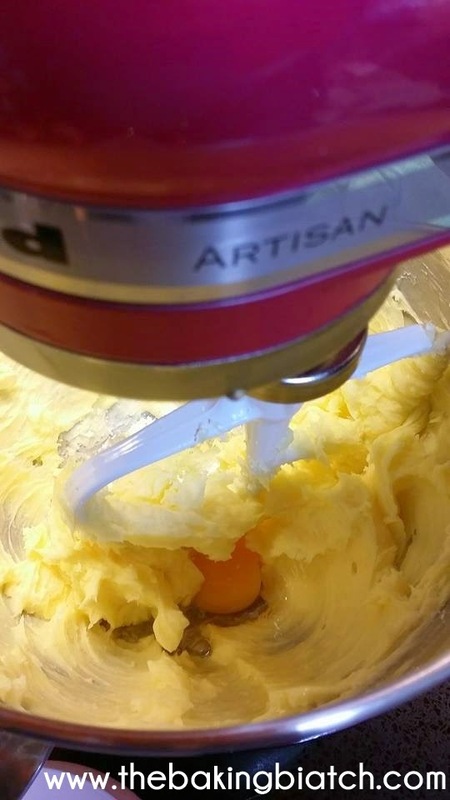 Mix both items till light and fluffy. 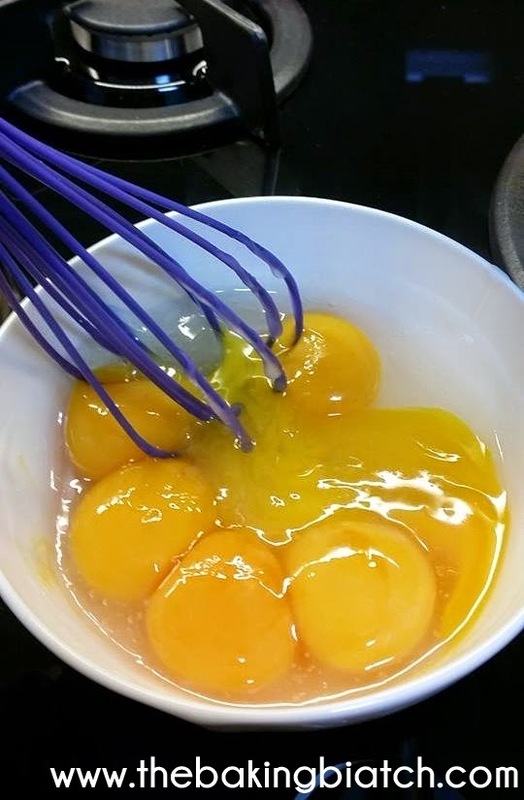 Add in an egg at a time and mix well. Mix well. 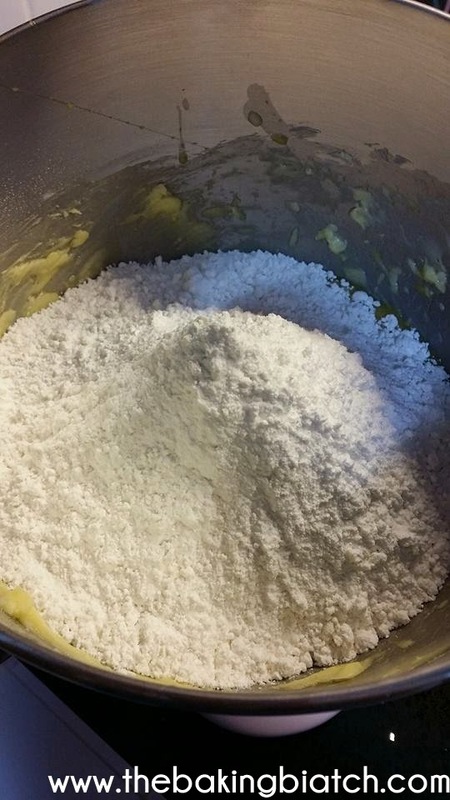 Scrape down sides to ensure that mixing is even. 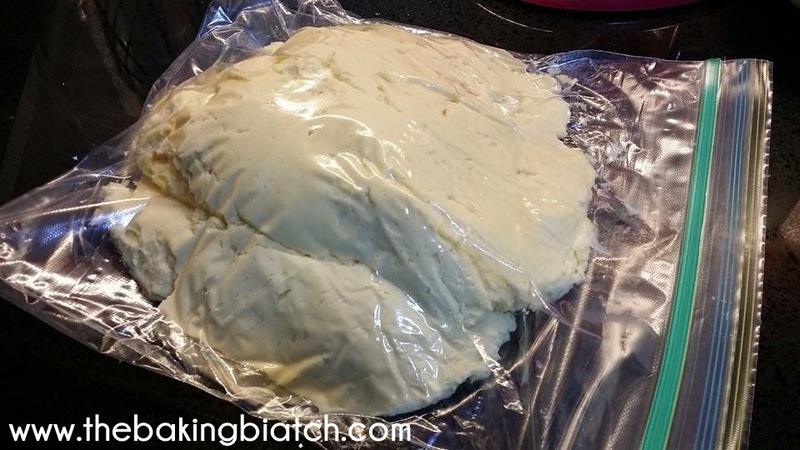 Place dough in a plastic bag/cling wrap. Chill in refrigerator for minimally 30 minutes. 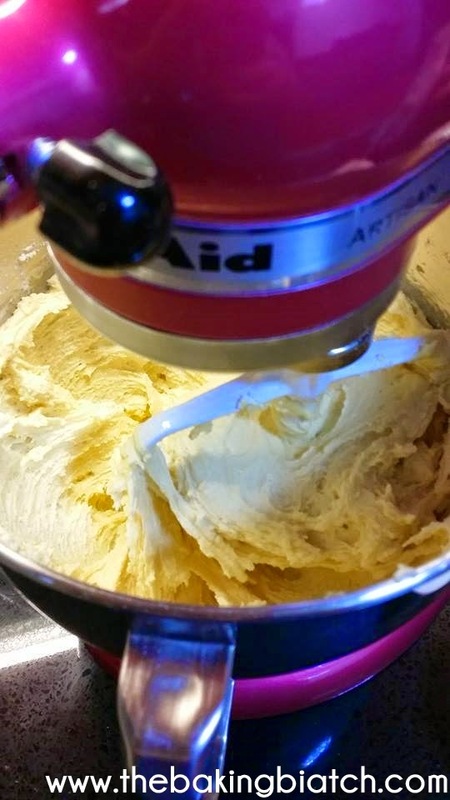 If it's too cold after many hours of chilling, allow dough to thaw a little first. 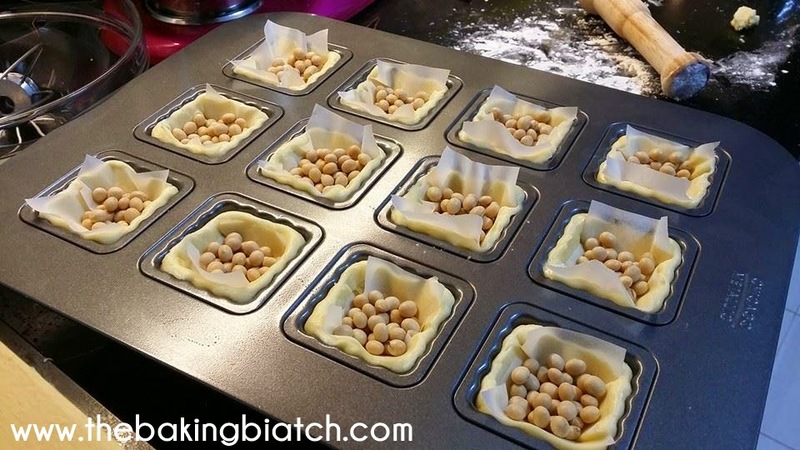 Bake for 5 minutes before removing beans and baking paper. 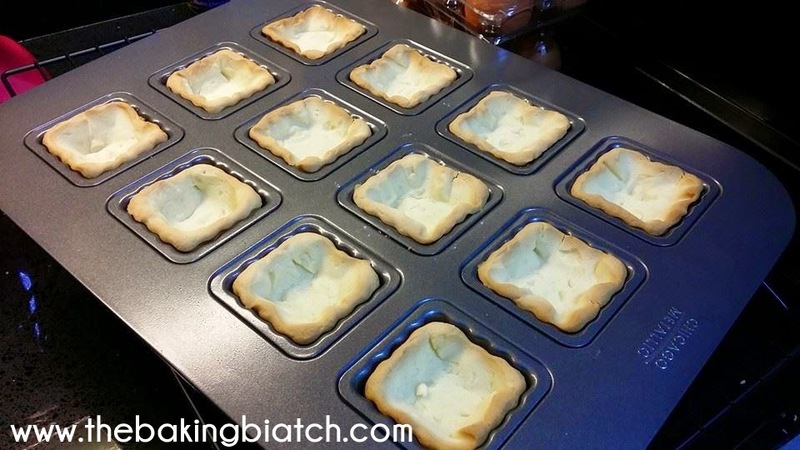 Return to oven to bake for another 5 minutes or till pastry is nicely browned. 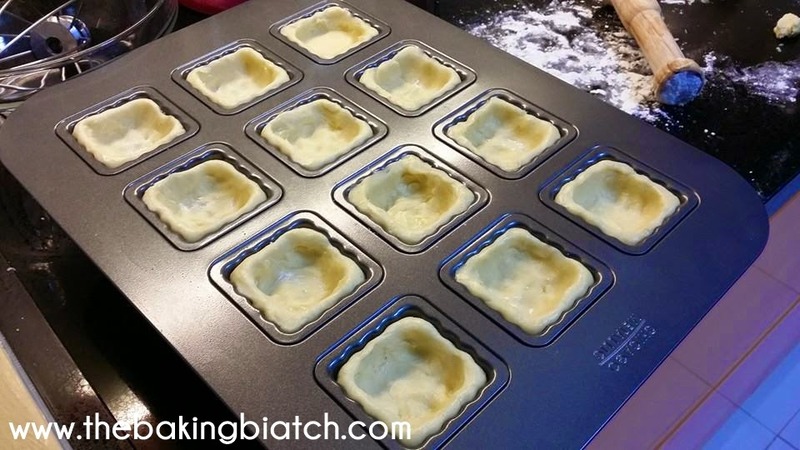 Allow pastry to cool completely. 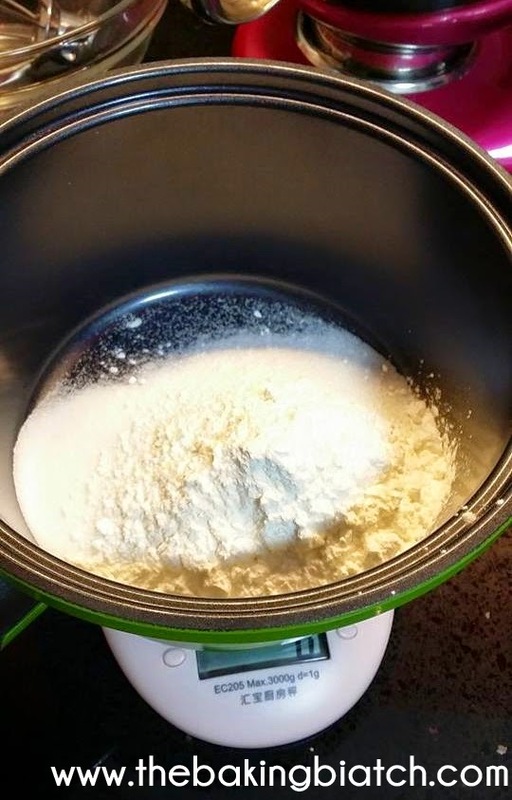 In a non stick pan/pot, mix sugar and corn starch. 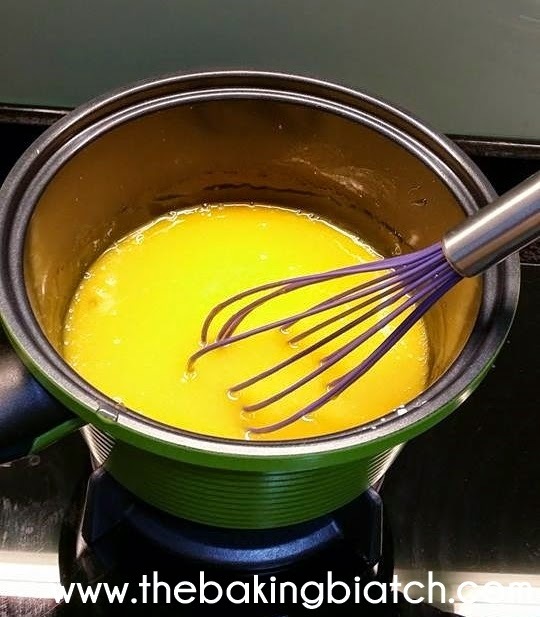 Add in cold water and mix well. 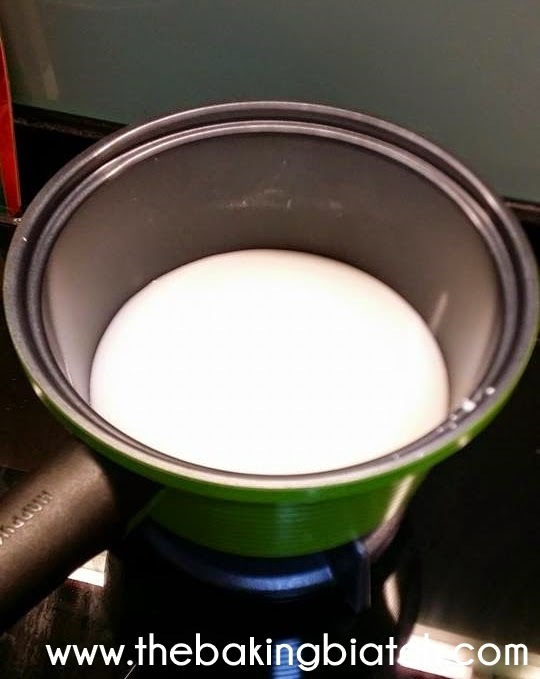 Bring mixture to a boil on medium heat. 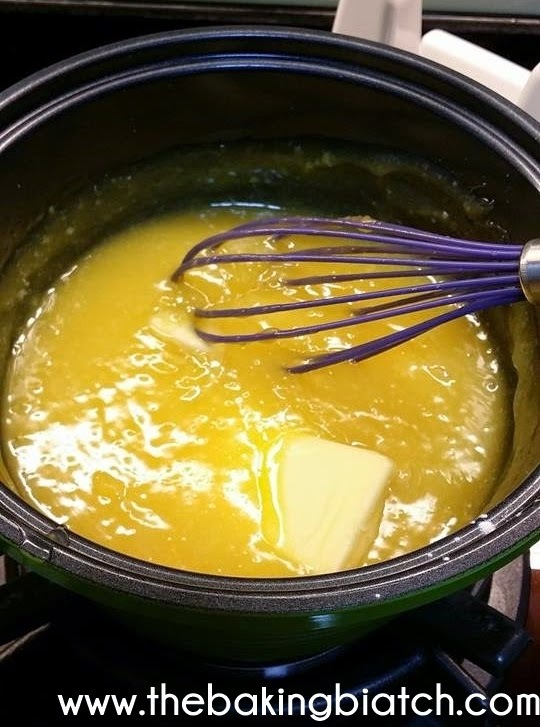 Allow mixture to thicken. Reduce heat to low. 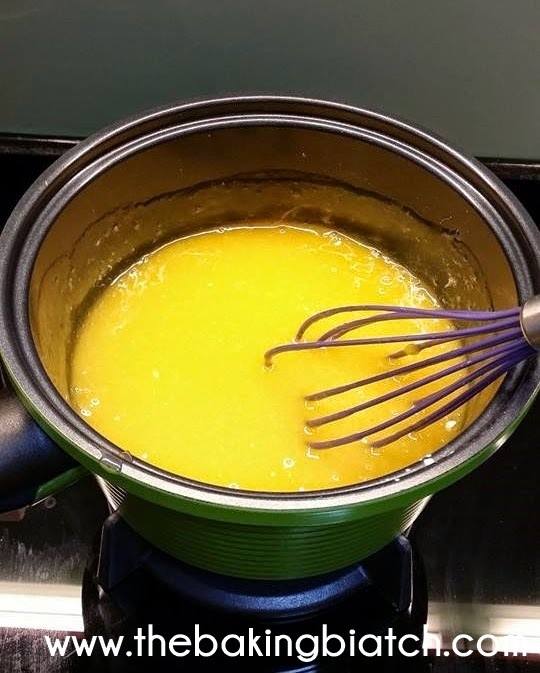 To the egg yolks, add in 1 ladle of the sugar/cornstarch mixture. Mix well. 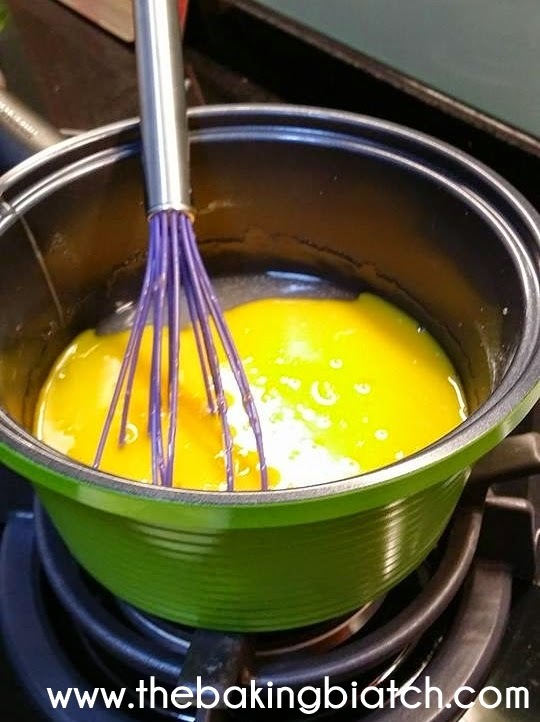 Do so quickly to prevent the yolks from cooking! 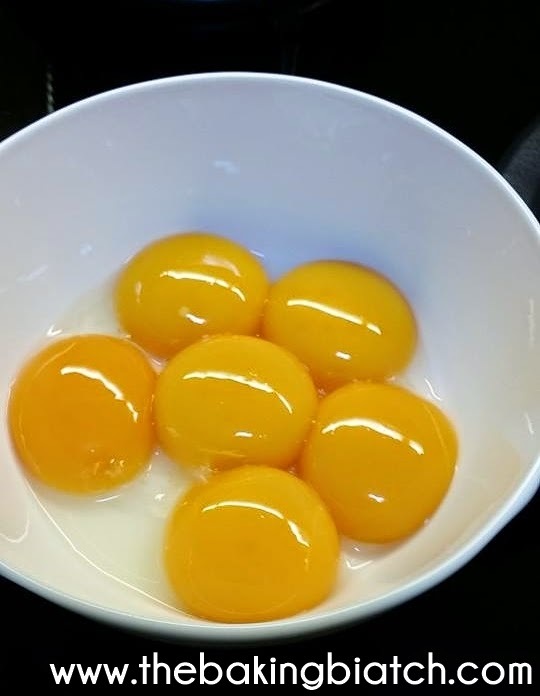 Return yolk mixture to the pot and mix well. 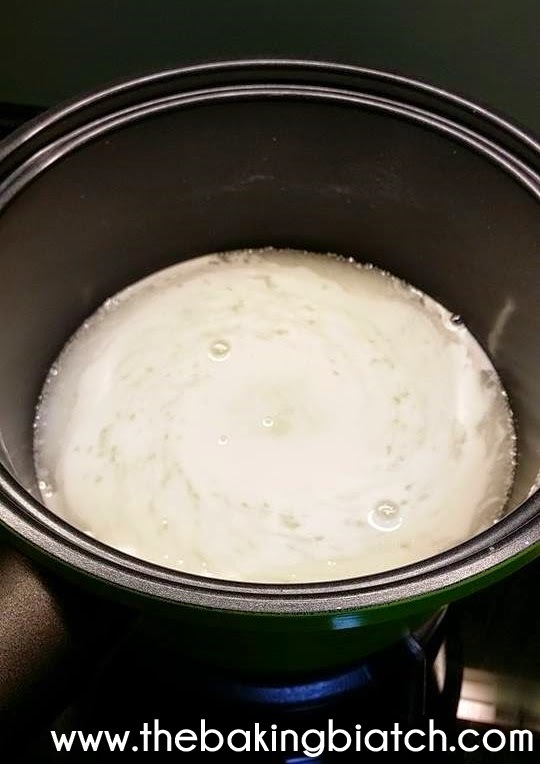 Bring to a gentle boil. 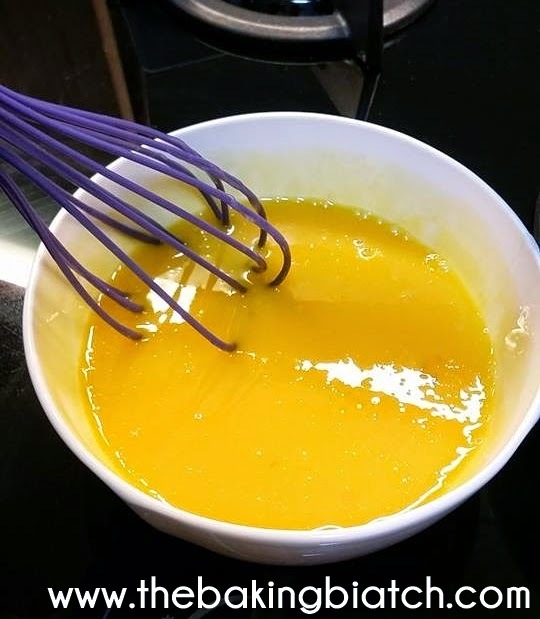 Add lemon juice and mix well. 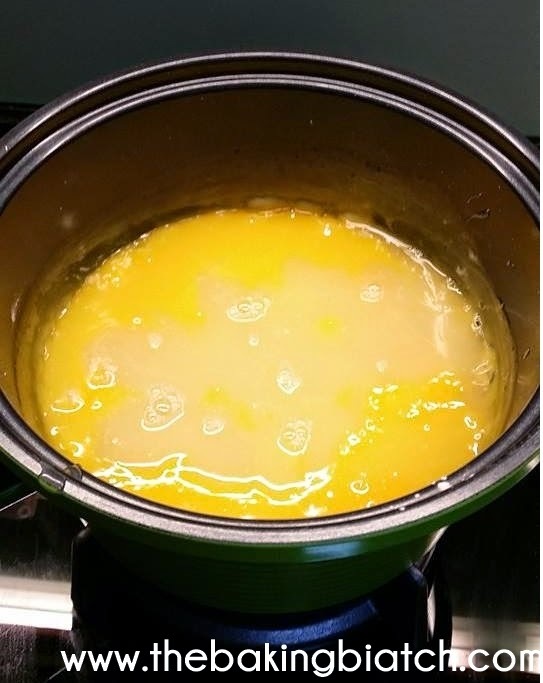 Bring to a gentle boil. Add in butter and stir well till butter is all melted. 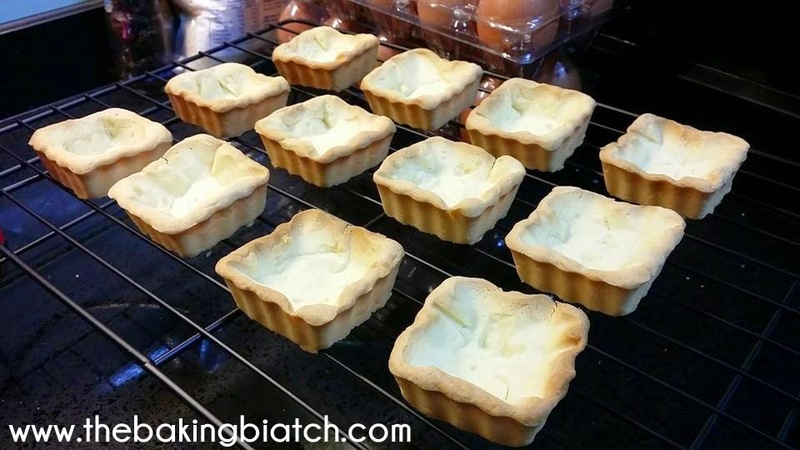 Pour/spoon into tart case immediately. 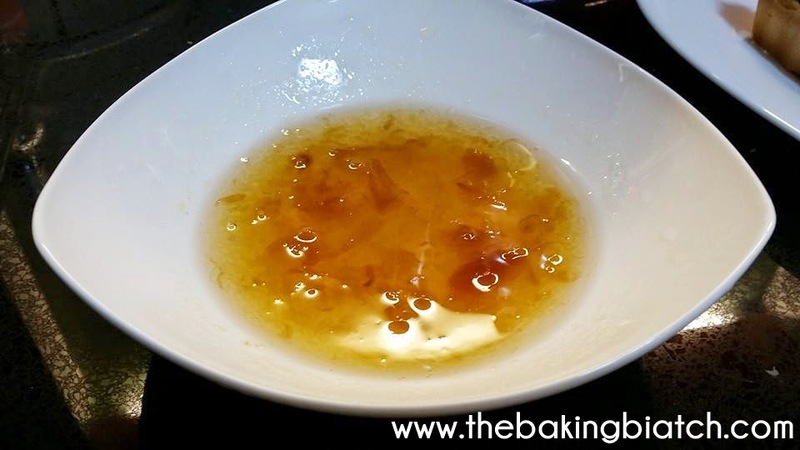 Else, place in a box and surface wrap it with food wrap to prevent drying of lemon curd. Be sure to have your fruits cut and washed prior to this step. 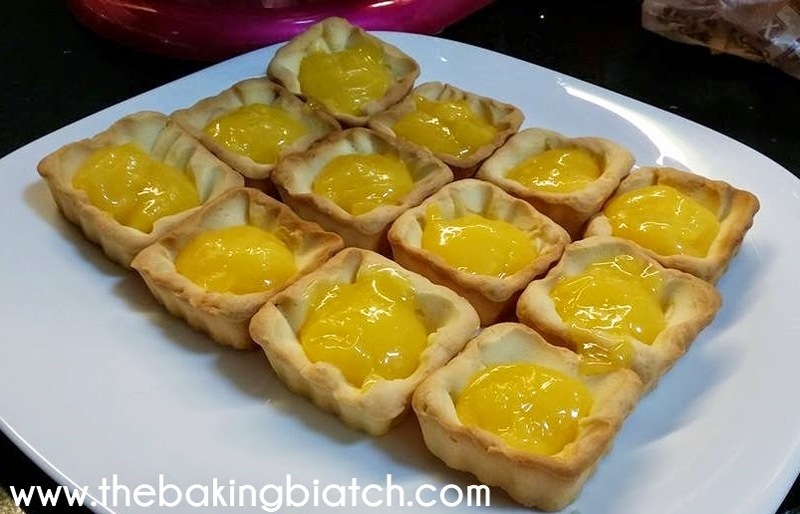 Preferably before cooking your lemon curd! 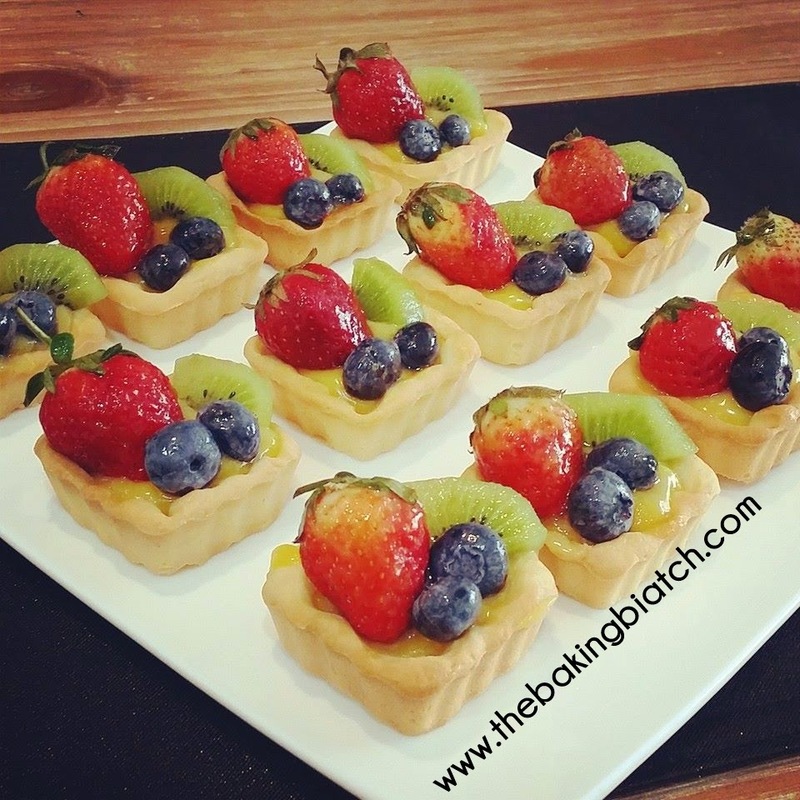 Arrange fruits onto the pastry tarts.